Two years after the attack on Charlie Hebdo staff, the world’s free expression focus has largely shifted away from cartoonists. That certainly does not mean the danger has disappeared, however, as a recent 30-page report from the French nonprofit Cartooning for Peace/Dessins Pour la Paix shows. The report brings together profiles of cartoonists under threat and background information on the free speech situation in the countries where they work — or from which they’ve been forced to flee. 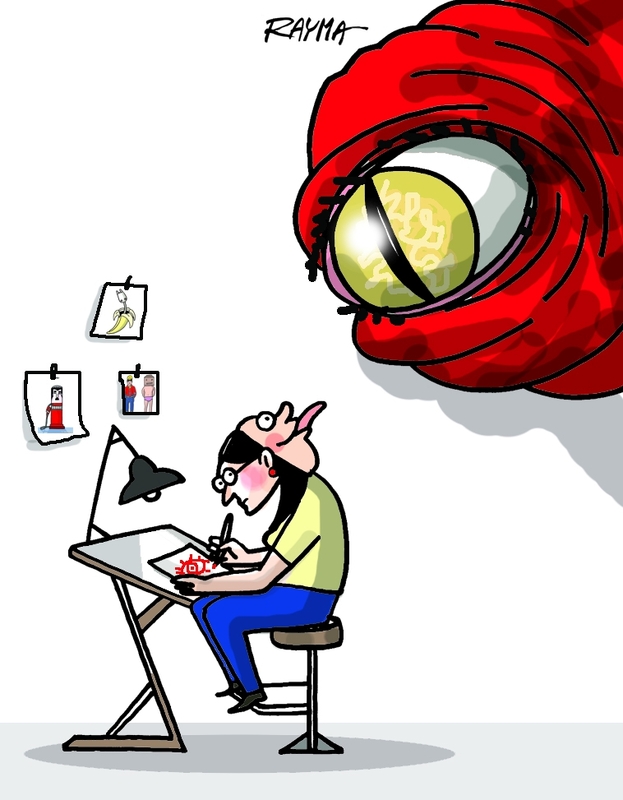 Whether their cartoons concern politics, the economy, sports or religion, cartoonists are confronted with the same threats as newspaper, radio and television journalists who cover sensitive subjects. Censorship, legal proceedings, attacks, imprisonment, exile, disappearances and, in the worst of cases, murder: many different acts of violence proving that cartoonists are always on the frontline. Unique witnesses of current events and veritable barometers of the freedom of expression, they defy threats in order to inform us on the state of democracy during periods of insecurity and trouble. In a context where violations against the freedom of expression have worsened, it seems indispensable to give the floor to those who take up the pencil, in order to pay tribute to their backgrounds and struggles. Read the full report here, then catch up on our past coverage of many of the featured cartoonists, grouped below by country.